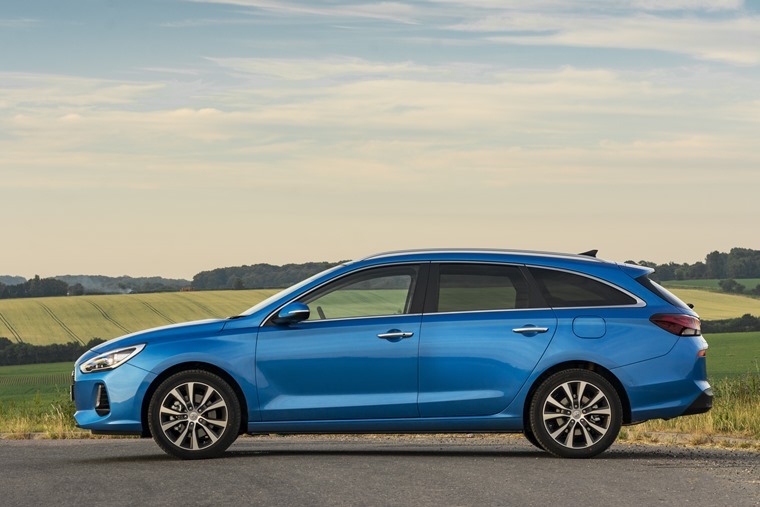 The Hyundai i30 Tourer offers real value for money. It's an excellent family car that eschews excitement for comfort and competence. Seemingly everybody wants an SUV, and Hyundai offers one for each market segment, or at least will do soon once the small Kona arrives. However, for those few that don’t want something so tall or unwieldy, it now offers the i30 Tourer. 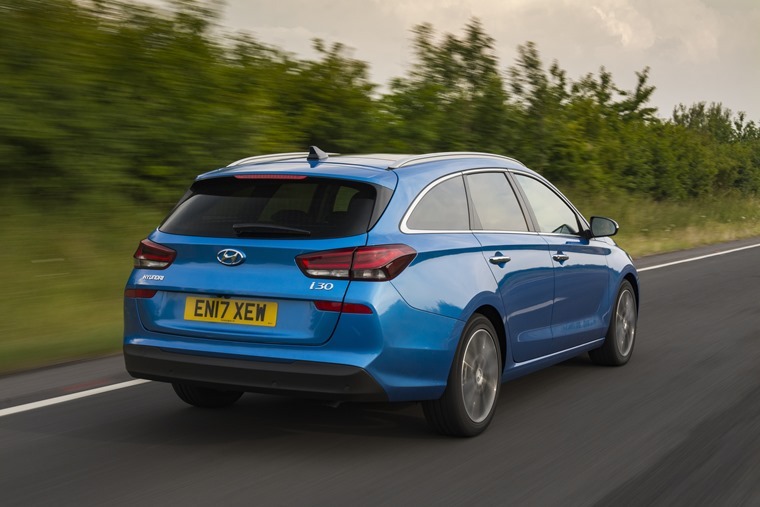 It joins the five-door hatchback that launched earlier in the year, and will also be joined by a five-door fastback model and a hot-hatch i30 N variant, but it’s the load-lugger that arguably looks the most appealing of the quartet. The addition of a large lump of metal to the rear of the i30 has been done very sympathetically, with the window line swooping down in an almost coupe-like style to minimise the visual bulk of the car. Under that bootlid sits a load bay able to accommodate just over 600 litres of stuff, which is some 77 litres (or nearly 15%) more than you’ll find in the larger Ford Mondeo estate. Fold down the rear seats and load it fully and it’ll handle 1,650 litres – still marginally ahead of the bigger Ford, despite that stylish roofline. 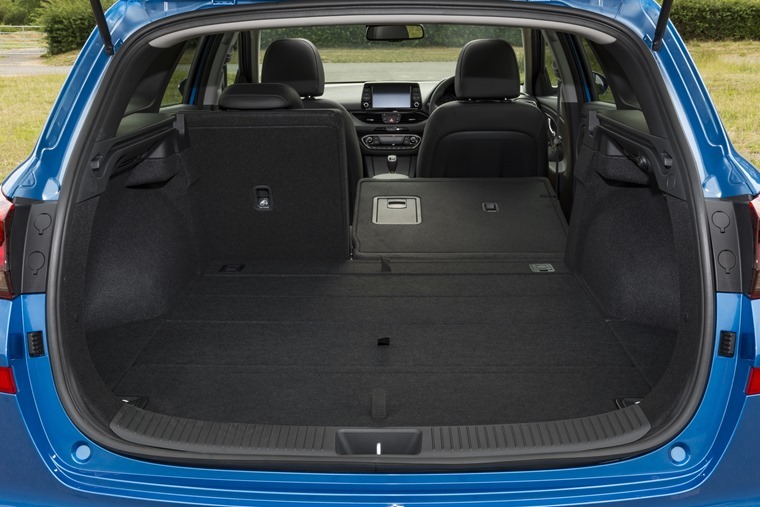 The Hyundai i30 Tourer has the trip-to-Ikea kind of days sorted, with a flatpack bookcase easily squeezing in, but it’s still remarkably good further forward in the cabin. The rear seats will be more than comfortable enough for a couple of kids, while adults will fit in without too much bother. There’s more space in the front, where even the sturdiest of people should be able to find themselves a comfortable driving position. Everything looks good too, even if it’s a little unexciting. There are swathes of leather and high-quality plastics around the cabin, making every touch point feel surprisingly luxurious, while a comprehensive equipment list leaves you feeling like there’s real value for money; every model in the range is fitted with air conditioning, automatic headlights, cruise control and a digital radio, while higher grades add delights such as electric heated seats, LED headlights, panoramic sunroof, and an excellent eight-inch infotainment screen that also includes Android Auto and Apple CarPlay. It’s exactly the same as the i30 hatchback, which is what you would expect. The way the car drives is also similar, but on a long run from Germany back to the UK it did fell as though the Tourer rides ever so slightly better than the standard model. Perhaps the extra weight of the back end with, I assume, stiffer suspension on the back wheels combines to create a more accomplished ride quality. Or, as is likely, my memories of driving the hatchback in January have faded a little. Whatever the truth, the ride quality remains very good, especially along the motorway. Find some bendier roads and it’s more of the same - competence, rather than excitement. It gets from A to B in an entirely ambivalent manner, gripping well but without letting you feel like you’re getting much from the car. Flat out, it’ll probably cover ground pretty quickly, but there's nothing to excite or interest the driver so you might as well calm down and enjoy the comfortable ride and cabin. Not that powering across the country would be encouraged by the 1.6-litre diesel engine anyway. With just 108bhp available, it’s not overloaded with power. Hitting maximum speed on the autobahn - an indicated 116mph - almost exhausted the German roads, before having to ease off and cruise at a more sensible speed once I was in the Netherlands. Pulling out to overtake slower vehicles took planning, but the engine remained refined and, importantly, frugal at all times. However, in the absence of the more useable 140bhp diesel engine, it might be worth exploring the petrol options available. 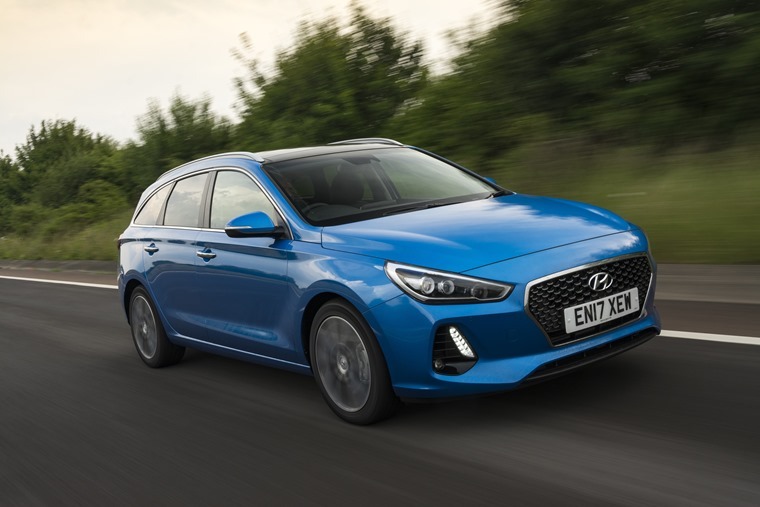 If you're after an eminently sensible and practical car, and are happy to eschew the trend for tall-riding SUVs, then the i30 Tourer could well fit the bill. It’s an excellent family car that is the equal in many ways to anything on offer from the likes of Vauxhall, Ford, Citroen or Peugeot. It really is a very competent car, but it lacks just one magic ingredient. 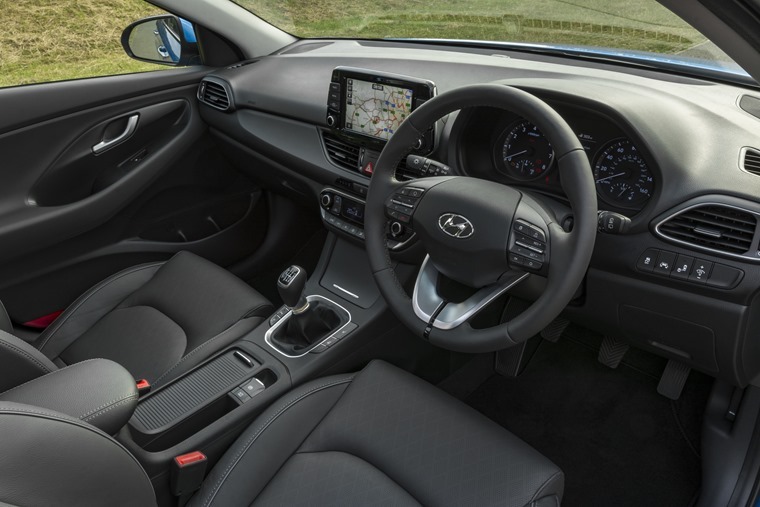 Unfortunately, nobody knows what that ingredient is, but it's that spark of imagination or soul that would move the i30 Tourer from being a safe and reliable choice that fulfills the requirements of motoring for many into something you might actually desire. Of course, not everybody is that passionate about cars and, if you’re not, then this will be right up your street.